Distracted driving, including texting while driving, is just as dangerous as drinking and driving. In fact, checking a short text takes your eyes off the road long enough to drive the length of a football field going a moderate highway speed. Fortunately, there’s an app for that. A plethora of great apps that block texting and driving behind the wheel have made their way onto the market and are saving lives. You can avoid becoming another statistic, such as the fatal trucking accident featured on Bohn & Fletcher’s blog. 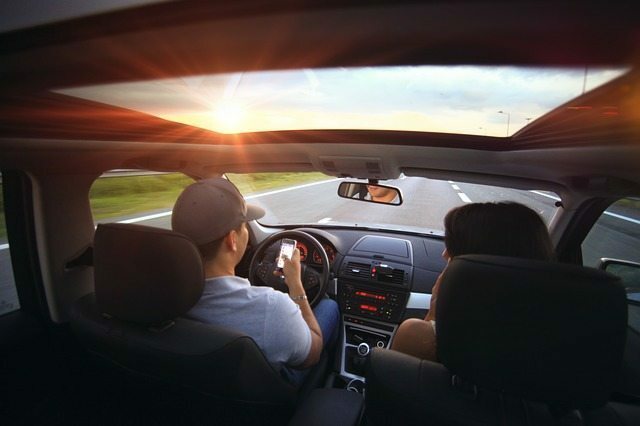 Distracted driving causes scores of crashes every year, with teens and 20-something drivers to blame most often (although anyone of any age can be guilty of it). It can also encompass eating, applying makeup, playing with radio stations and anything else that takes your attention away from driving. Try out one of these reputable apps the next time you slip into the driver’s seat and you just might avoid a disaster. An option for Android users, this app eliminates as many distractions as possible while you’re driving. Once you pass the 10mph mark, you’ll see a static screensaver (if you’re looking at your phone, which you shouldn’t be). All notifications get switched off, so you won’t even know if a call, text or Facebook notification is coming in. You can even customize the screensaver, but that’s pretty pointless since you shouldn’t be seeing it at all. Another Android option, this app blocks and calls or texts that come in while you’re driving. Simply activate the app when you get in your car and any incoming messages or communication will be blocked until you turn the app off. Driving for a long time? The sender will be notified that you’re unable to respond, so it’s also great for when you have appointments or meetings. This app was lauded by the Los Angeles Times for a way parents can keep track of their teens, but it’s also a prominent app for safer driving. Parents can down the app (Android or iOS) to their child’s phone, and you’ll be notified if/when your teen drives over 12 mph beyond the speed limit or outside of areas you’ve designated as safe. Combing it with a distracted driving app for optimal results. From the Verizon Safely Go feature to the Spring Drive First or AT&T Drive Mode option, phone manufacturers are offering their own ways to drive safer. The Paramus Post recently reported on the comprehensive Verizon options, and why not take advantage of built-in features that you’ve already paid for?